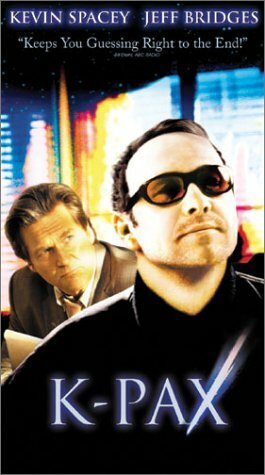 The film tells the story of a mysterious patient (Kevin Spacey) at a mental hospital who claims to be from a distant planet called K-PAX. As his psychiatrist (Jeff Bridges) tries to figure out exactly how to help the patient, he gradually begins to realize that this so-called alien is having a remarkable effect on the mental health of the hospital's other patients. One of the better and more intelligent films to come out in the past two or three years. When any of us sit down to watch a film we need to make one of two choices - are we going to believe the premise is possible, or are we going to believe it is impossible?In TOY STORY and SHREK, will we believe that toys and animals can talk? In BACK TO THE FUTURE, will we believe time-travel is possible? In THE MATRIX, will be believe one can travel between reality and virtual reality? In SUPERMAN, STARMAN,and E.T., will we believe that a being from another planet can visit us and interact with us? The answer is perhaps obvious, "yes" if we are to become immersed in the story and enjoy the film. 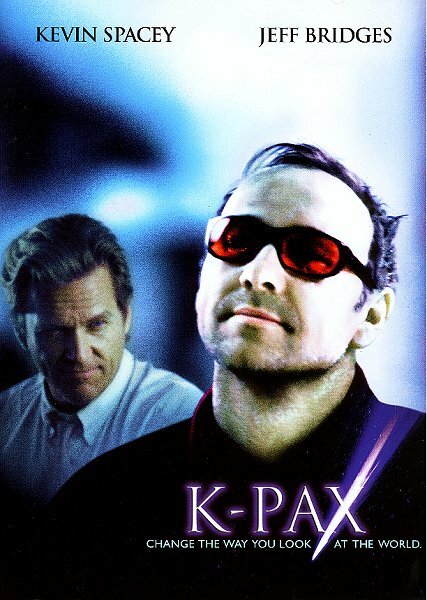 This film, "K-PAX" is just like that. 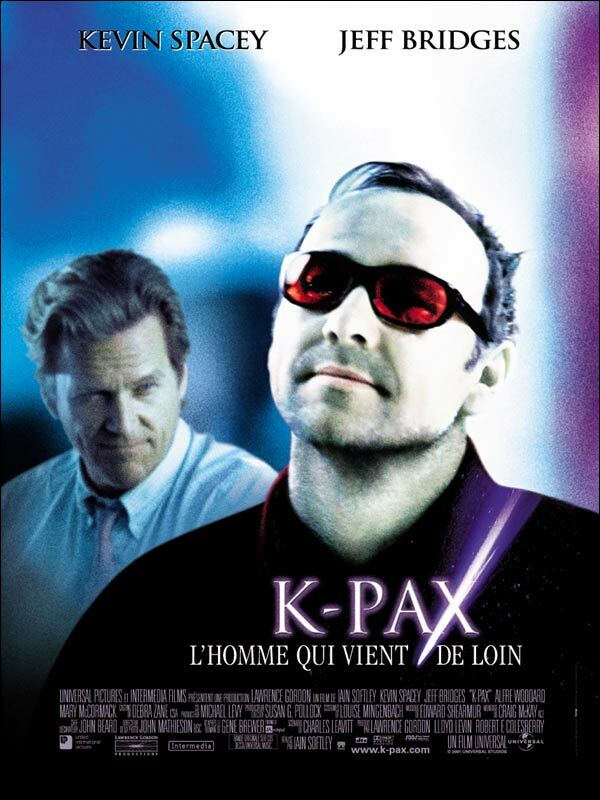 If one sits down to it and buys into the premise, that it is possible for Prot to be from a far-away planet called K-PAX, then it is a totally absorbing film. One of the best I have seen in a long time. Ultimately this film isn't about aliens or space travel, it is about the human condition, and about finding out what is really important to us. The character, Prot, is a catalyst in this story and it doesn't matter in the end whether he really is from K-Pax. some possible SPOILERS - On my second viewing of K-PAX, tonight, I took careful note of everything that was said and presented. When you do so there should be no residual doubt that Prot, in this story, really is a K-PAXian. An alien who is completely harmless, and who is more like a guardian angel than anything else. One who can travel anywhere he wants on a beam of light, taking one and only one person with him. Through most of the story he takes the catatonic Porter with him. At 5:51AM on July 27th, 2001, he returns to K-PAX, leaves Porter behind in the care of the good doctor, and takes one of the patients with him.